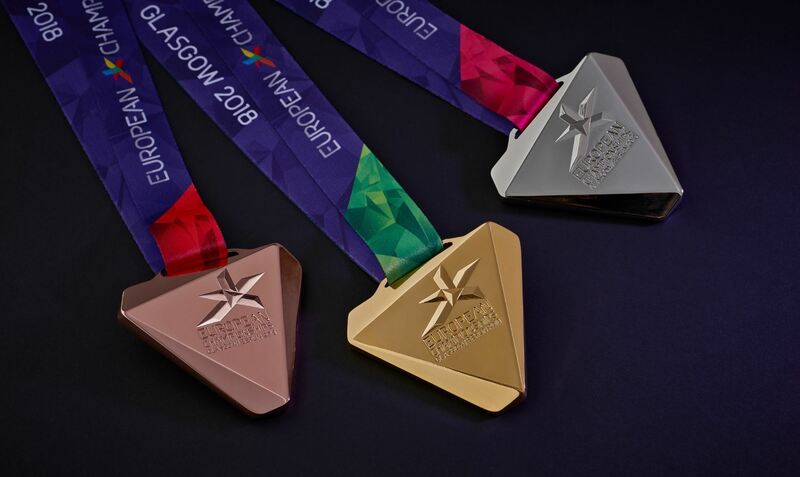 The men’s European gymnastics championships concluded at The SSE Hydro with six gold medals awarded to five different countries in the apparatus finals. The most successful nation was Russia, with two golds, a silver and two bronze medals. Artur DALALOYAN (RUS) bagged an impressive three medals, to add to his team’s victory on Saturday – golds on vault and parallel bars, bronze on floor – making him the most successful gymnast in these finals. Russia’s other two medals were the silver won by David BELYAVSKIY on parallel bars, after failing to defend his pommel horse title, and Dmitrii LANKIN’s bronze on vault. The first gold medal of the day went to Britain’s Dominick CUNNINGHAM who triumphed on the floor, moving up from sixth place in qualifications with textbook landings to a variety of multi-twisting somersaults. The much-anticipated showdown on pommel horse between Rhys McCLENAGHAN (IRL) and Max WHITLOCK (GBR) resulted in WHITLOCK losing his stride early into his routine, coming off the horse. This left the door wide open for the Irish teenager to claim his first senior European title, which he did with flair and the highest score he has ever earned – 15.300. “I said at the start I wanted to make history for Ireland again, and why not make it the gold?” McCLENAGHAN (IRL) said. The single highest score of the day was 15.466, awarded to Eleftherios PETROUNIAS (GRE) for his superlative rings exercise, eclipsing the challenge from Courtney TULLOCH (GBR) who earned bronze behind Ibrahim COLAK (TUR). The final event of the championships, horizontal bar, was won by Switzerland, when Oliver HEGI outswung the Dutchman Epke ZONDERLAND who had to settle for the silver medal.